After posting about my results after three months on the caveman regimen, it sounds like many of you are quite interested in giving this ‘no washing your face’ thing a shot to see if it improves your acne! So I thought you might want to have a look-see at a couple of videos on youtube that I found interesting. The first is a video that one of the readers here linked to. It’s by a skin treatment expert in the beauty industry named Florence Barrett-Hill, and she’s giving a webinar about “The Epidemic of Over-Exfoliation”. Okay, I’ll admit that it’s not that exciting a video, but it does give some interesting scientific explanations on how the skin works and why keeping the acid mantle intact is so important (and also why Omega 3‘s are so vital for healthy skin). ** UPDATE ** This topic has been so popular, I’ve finally decided to create ‘Caveman Regimen: The Ultimate Guide’ to answer all your questions and help you through the terrifying process of letting of of skin care (as well as help with modifying the Caveman to suit you and your needs better). Click here for more details! Cheers for posting this Tracy!!! She doesn’t mention not washing but definitely agrees washing and exfoliation destroys the acid mantle. This is super awesome to keep learning more about this topic. I would love to hear more testimonials and experiences from others who have been inspired to try the caveman. I know my skin is so much better since I gave up using cleanser in favor of the oil cleansing method. I know my skin is better still whenever I go camping and only wipe it off with an aloe baby wipe. I really want to go totally caveman. I have been So So obsessive compulsive about my skin care routine for So long now. My boyfriend knows I disappear into the bathroom twice a day like clockwork and don’t come out for a while. I’ve been a slave to my sink and mirror, and that’s not who I really am. I want so badly to go back to my natural state of perfection and go caveman. Hangups I am still having…I work at the beauty counter at a natural food’s store, I feel I am always being scrutinized by customers… how can I go through a dry flaky dead skin mask while showing my face at work every day and helping people select prodcuts? What I am most freaked out about though is ditching my sunscreen. I lead a very active lifestyle outdoors. I do tons of hiking, climbing, biking, and cross country skiing. And I am out for long days, tons of sunshine. Wear a hat I know, I do, but I still have the kind of fair skin that always burns and then burns some more. During the winter a hat won’t protect you from the glare off the snow that can burn you as badly as the sun from overhead. I guess I wear sunscreen on my body though, and I never ever wash that (pits and bottom only)… and the skin on my body is still relatively perfect. maybe I just answered that one for myself… I am bracing up the courage still. Someday I’ll do it and never look back. still psyching myself up to take the caveman plunge. In the meantime, I love hearing inspiration from everyone else. Hi C – yes I’m not really sure what to do about the sunscreen thing – sometimes it’s just necessary (like as in snow sports) but I have yet to cross that path so I’m not sure what to suggest. I’m waiting on an epic sunscreen article from my skin care correspondent, Svea, and I think she may have some good suggestions for natural and homemade sunscreens to try. Also, read Tina’s comment down below… I’ve never heard of these high SPF plant oils, but it’s something to look into. Also, as for your work situation – it’s very tough. I totally understand how you feel about that. I have been using Peter Thomas Roth Instand Mineral SPF 30 for the last year and it really has been a miracle product. It is a brush with powder, so no sticky cream with comedogenic ingredients, and I’m guessing minerals should be natural enough. I’ve worn it in 38 Centigrade heat, it is invisible and you don’t feel it on your skin at all. Also worn it skiing in strong sunlight all day and it has protected well, although I advise topping up throughout the day to be sure. It just seems strange that it actually works, but it does! It’s not a solution for the body, but for the face it means I can now protect myself when I never did before. It’s not cheap, especially in the UK, but seems to last a while. Hi Tracy, can I ask you something? can I remove my flaky dead skin on my face? I am already in my almost 3 weeks of caveman regimen. Too many flaky dead skin but I am not worried about it and it’s just that I want to remove them because there are too many of them now. You can remove them if you want, the general ‘recommendation’ is to wait at least a month but if it’s too much go ahead and gently remove them. There’s no real rules with the caveman regimen. Thank you Tracy for this forum! I think a very important point mentioned about going ‘natural’ was Sun exposure…I have found that if I can spend about 15-20 minutes with my bare skinned face in sunlight, that my complexion improves significantly. Eating a healthy dose of spinach and papaya has also seemed to help with healthier skin. I am not ready to commit to the ‘caveman’ yet, but I am trying to slowly pare down my skin care regimen, and hopefully as my skin clears I can wean myself off of the make-up I currently use for coverage. yeah i agree, my skin is always better in the summer when ive been laying out in the sun. The fact that people fear the sun now is so sad, because if you don’t overexpose yourself it’s very helpful. ahhh, I envy her! I’d love to be more natural and go caveman, but I don’t think I’m ready yet. I’m just now over my acne now that I’m off birth control (dang IUD wrecked my skin) and feeling really good with a little makeup. Soooo, when the marks fade more maybe I can take the plunge… While I’m not ready for this, I’m certainly adopting the less-is-more mentality. If you eat healthy, your BO won’t smell as bad. Taking a probiotic might help also because BO is caused by a byproduct (acetic acid/vinegar) of bacteria. That’s why BO can smell sort of vinegar-ey, some bacteria on/in the body literally produce acetic acid which is the acid found in vinegar. Even when I’m doing intense Crossfit, if I start to smell it’s barely noticeable. great idea! just melt the coco oil down eh? Tracy, what’s your opinion on using natural topical retinoids in conjunction with or in place of the caveman regimen? I’m not referring to Retin-A or Accutane or Ziana or anything chemical – but just straight up animalform Vitamin A/retinol on the skin? Also the lady in that first video has such a soothing voice. I don’t know – not sure about that. Aw thats too bad Sara – how long did you do it for? Has anyone ever had their skin like skip the pimple stage and just show right up as a red spot?? I have so may red dots and spots mostly in my cheek area, and realized that they couldn’t be scars, cause I never had that many pimples! Its like they don’t hurt and are almost like white heads but not exactly bumpy.. basically looks like the pigmentaion that’s left after a breakout. But sometimes they just show up even when there hasn’t been been a pimple there to leave a scar.. weird. Is this still considered active acne, or should I treat it like scars..?? I have been doing this type of thing with very infrequent cold water washes but it does not work for my persistent sebherroic dermatitis and black heads on my nose. Maybe I’m doing something wrong, but at some point I may have to reluctantly give up. If there were someway to clear the blackheads, maybe manually with extraction while still avoiding topical exfoliants, that way my skin would have a fresh start? Also the first video is really vague. I she recommending topical trenetoin at the end? Is she advocating face washing or just top iCal creams? I’m not really sure what she is recommending – what I got out of it was just that she was explaining how the skin works and how the acid mantle works – and therefore we can interpret that to show why the caveman might work – not so much that she is actually recommending that in this video… it’s a pretty out there idea I guess! Estheticians would be out of a job! Anyway – I’m not entirely sure what to do about the blackheads – it does seem like this is turning out to be a common issue with this regimen. I doubt it’s anything you’re doing wrong. I’m not entirely sure if it’s just a temporary one or not (like I got lots of congestion and small whiteheads that appeared and then went away)… how long have you been doing it for? Were the blackheads better back when you washed your face? No, I just started the caveman so it wouldn’t be because of that.. I think this iactually making it better, (maybe the redness is just less visable cause I haven’t been touching it with anything..) but its weird, like you said I guess it is like a papule, but they aren’t sore to the touch or anything, just red..
Well I think that the red marks left right after a pimple goes is still inflammation and not technically a scar… it’s just…. minimal and residual compared to regular inflamed acne…. that’s why some people have red marks that take forever to fade, and others have ones that go quickly.. it all depends on the level of inflammation from inside the body and caused my external irritation… if that is high, that’s when their red marks take longer to fade. I have noticed that the caveman has over all reduced the amount of inflammation in my skin in general (by completely getting rid of external irritation), and so I’ve also noticed that any red marks left from the very small amount of acne I still get goes very quickly, even quicker than when I washed with natural stuff. I just started the Caveman regimen and have changed my lifestyle according to The Ultimate Secrets. I was just on the acne.org regimen and quit cold turkey after realizing it was just damaging my skin. My skin is so flaky/oily right now because of the damage of the bp. If I keep going with no water, will my skin eventually return to normal without exfoliating/water? I totally agree with the sentiment that people aren’t “meant” to slather their faces with chemicals. It just seems to make sense! Whether that’s a sign of toxins coming out I don’t know (actually, I’ve also just started taking fish pills and drinking fermented cabbage juice, so it could be other factors), but I’m hoping to try again when I’ve got some free time. It sounds kinda pathetic, but everyone with acne knows how hard it is when you have to go out there with no cover-up! I guess it has to get worse before it gets better. It’s not pathetic – it’s totally understandable….. it terrified me. I have been slowly moving towards caveman. I starting washing my face once a day for about a month or more and then switched to using dead sea salt water instead of my natural face soap (I figured at least it wouldn’t mess with the ph that way). I am waiting to to try total caveman as I am weaning off antibiotics. I want something to act as a last resort in case of rebound. I still experienced some of the flakiness and small papules for the first few weeks. It is hard to say what’s going on since I am still treating it some way once a day. Im on day three of the caveman and I can feel two cysts coming. I haven’t had cysts in a while, is it normal that my skin may break out a bit during the caveman regimen? It is normal for some weird changes to occur, and probably some breakouts. I’m not sure about cysts specifically, everyone is is different of course :/ This doesn’t seem to work for everyone, so it’s always up to your intuition to decide whether you want to keep moving forward with it or not. I want to try this regimen, however, I still have pretty moderate active acne and am worried that I should have my acne under better control before starting this? Does that matter? Also, I have acne (pustules) on my chest and only wash that in the shower with water and my occasional dry brush (wet brush since its in the shower) to exfoliate. If the caveman regimen isn’t working for my chest, since it still has active acne, what will make it work for my face? Thanks Tracy for staying dedicated to us acne sufferers even though you yourself have beautiful skin! Hi Jen – I can’t say for sure – I guess it depends on why you’re getting acne as to whether this is going to work or not. If it’s significantly worsened by the use of whatever you’re using on your face and maybe your tap water, then it should definitely help your moderate acne. 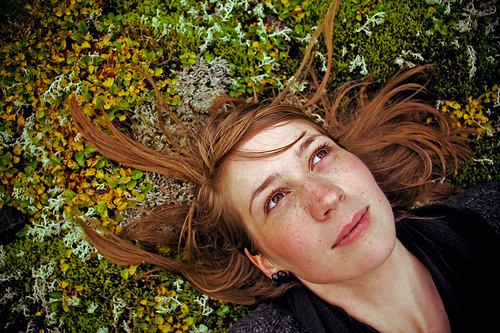 If your acne is more to do with internal factors then it might not do much of anything. Also, if you are exfoliating your chest regularly though, that’s not really the caveman. And the water too, as water has chemicals in it… honestly, I don’t know though. In the end, I have no idea if it will work for any given person, all you can do is try it. Hi Tracy, after years of being a product slave I finally committed to the Caveman! I’ve battled breakouts and excema for years and NOTHING was working. I’m on week two and I’m very flakey and getting quit a few blackheads… However the irratation is much less in which I believe is my main problem. A few thoughts…. If the skin is a organ( it is) then wouldn’t it know how to function and take care of its needs like any other organ? We dont wash our livers? Sunscreen, I understand the need but I think it’s because our skins are so irritated we absorb the sun much more than healthy skin.In fact it’s known that unhealthy skin( no acid mantle) absorbs pollution and sun and free radicals. So in conclusion. Fix the irratation, that’s why the caveman makes such sense. I’ll keep ou updated! I hope it works out for you Kimberley! I was just thinking about why the caveman might not work for someone..
A lot of times when you have active acne, the bacteria multiply and feed off the dead skin, right? So if you aren’t washing your face and removing the buildup of dead cells and whatnot, the bacteria just goes crazy, if your skin is acne prone. The reason this wouldn’t happen to the caveman, was because he never washed his face to begin with, and never had acne to begin with! That’s why I think it worked so nicely for you Tracy, because you had all of your acne mostly controlled and the bacteria was at a healthy amount. I’m not saying this won’t work if you have active acne, but this could be why it may not be working for some.. I think that if you have cleared most of your acne, then this would be the best way to go. I don’t know, but I hope everyone gets clear, be it caveman or by some other natural means! Unfortunately, the Caveman did not work for me AT ALL! My first round (18 days) gave me blotchy skin & a pretty significant outbreak of acne. After freaking out, I washed with honey the following 3 nights & then decided to give the Caveman another whirl. My second attempt (25 days) was an experience rich in “firsts”. First time I had: blackheads, cystic acne, severe acne, acne on my cheeks, some crazy acne that is just red & never changes. I went another 7 nights laying just a warm/damp washcloth over my face, then another 5 days where I began splashing with water. When I discovered my first acne scar to leave an indentation on my face, I immediately ended it. I thought that only happened when you pick, but apparently not! It’s been nearly 4 months since that very first day on the Caveman & my skin still hasn’t recovered. I have several dozen pock marks & hundreds (literally) of hyper-pigmentation scars. I have spent a ridiculous amount of money on vitamins, herbs, organic products, doctors, acupuncturists, & a visit to the emergency room at 1am (prob due to the mix of supplements I was cramming). There were a few times I burst into tears over what I did to myself (permanent scars! ), but for the most part I’m not even upset. I experimented with my face & it went horribly wrong – oh well! It’s not like I can go back in time to stop myself. I had high hopes that the Caveman would work for me since last year I went 2 weeks without washing & my skin was perfectly clear. Now I’m just trying to be patient cause I know it’ll eventually get better. I just saw a new acupuncturist & she gave me some liquid herbs that are working. It’s just hard to tell with all the hyperpigmentation, etc, but I’m on my way! Okay so I’ve been doing the caveman regimen for a month now 🙂 so proud of myself haha, and I “washed” my face once towards the end of the month with a few cotton pads soaked in purified water because the dead skin cell mask was getting disgusting and I had gone to an amusement park and sweated the whole day. I think it’s definitely working for me! Going into the 2nd month now and I was wondering, do I always have to keep the dead skin cell mask, cause mine got pretty thick prob cause I have oily skin, or will it lessen with time? just my 2 cents – after a month, i began just washing my face like 2 days a week, with my shower. I just let water run over my face during those days. In the mornings, I might dab water around if I have flaky spots, but no rubbing or anything. I also spritz an ACV/aloe vera toner in the morning – it feels great in the summer. that’s the only thing i put on my skin. Apparently, even though I ate really well, I still had “stomach heat” and so the herbs that I’m taking is helping to cure that. I gotta say … so far, it’s working. My skin’s looking a lot better and there are no side effects. My suggestion is … maybe go see a traditional chinese medicine doctor. The one I went to didn’t charge anything for the actual visit because he actually owned the herbal store … so you just bought the herbs from him 🙂 I’m not sure if there are any in Australia, though! they diagnosed my problem by using an ancient technique called .. “hao mai” not sure if it’s spelled like that. but they actually “feel” your pulse and look at your tongue and can figure out your illness from that. I know, I was skeptical at first … I’ll continue to update on the progress, though! Hi Jeff – Yes I totally think that herbs and specific supplements can really help people to get over the hump there and clear their skin – the problem is what people need is so different from one another, it’s sort of impossible to recommend stuff. It’s a really good idea to go get diagnosed by somebody (a naturopath, or a traditional chinese doctor, for example) who can help you figure out what you need. That’s cool you did that and it’s working for you! the cool thing is, i’m actually going back to china next month! I haven’t gone back in like 7 years, and so I need to go back to see my grandparents. Update on my caveman experience. I found out about the caveman and did some research on other peoples experiences and gave it a try. Quick backround on my skin; I have had acne since about 15 years old and started smearing on the products ever since. I have tried pretty much everything under the sun without ever giving my skin a break. A little over two years ago I gave Accutane a go. I stopped about halfway through a 6 month course due to low white blood cell count. That stuff is poison. My face had been dry and oily the whole time on the course and this continued after. I had still used cleansers and moisturizers up until about 4 months ago when I started to just use water and lotion. Skin still didn’t get better. 3 Weeks ago I started the caveman; no water. 2 weeks my skin was building up lots of dead skin. I wiped it off and shaved using a razor. 1 week later I tried an electric razor but it clumped the dead skin so I gently exfoliated. Honestly my skin hasn’t gotten worse. I can’t say it has gotten better yet though. Maybe some improvements here and there. My skin still gets oily and I still get a few small whiteheads. No new pimples or large bumps though which is great. Lots of red spots and my face is still more red than the rest of my skin. I doubt I will be able to go longer than 2 weeks without getting rid of the dead skin because it is just too much. Possibly if the skin slowly heals and turns of slower I might be able to go longer until it is non existent. Im am praying for this. I will update in the future. Oh yeah, I am 21 by the way. Hi Tracy! I just want to say that I stumbled upon your website a few days ago and it is a God-send. Thank you so much for taking your time to help those of us that struggle with acne. I don’t know if you are able to answer this, but I have one question that I would really like your answer on. A little background, I’m 17, broke out with moderate acne about 8 months ago and went through a ton of creams like benzoyl peroxide and even facial extractions which have left me with a lot of acne marks and scars on my forehead and temples. I recently read that asian skin is more prone to scarring and I really wish I had avoided facials. I am an asian male and don’t wear makeup. I’m also an athlete and stay away from all refined foods and dairy. I truly love living healthy and my every day diet consists of kale, yam, lots of water, etc. I also believe that my acne marks and scars are due to chemicals are irritation directly to my skin. I still have some mild/moderate acne and a bunch of marks that are super noticeable…would you recommend I just do the caveman regimen w/ water only to help heal my skin? Or would you recommend going the more active route using manuka honey, jojoba, aloe vera and that msm cream blog Tamara used? I’m just not sure what is best for my asian skin–doing nothing or putting more money into natural treatments. If you replied to this, I would be so thankful. Thanks so much for everything you are doing! You are so inspiring and amazing!! Hi David – I honestly am not sure which one would be better for your skin – you don’t know until you try! 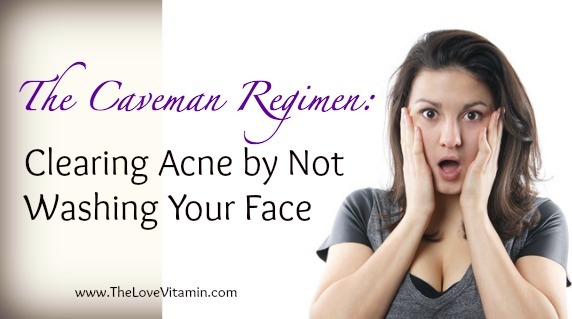 If you truly believe the acne and marks are due to chemical irritation then the caveman should work pretty well for you. But maybe if you want to get rid of the marks fast, try using the MSM cream as the only thing you use. Tracy! Thank you so much for your response. I’m starting to just wash my face with water. I forgot to mention I have oily skin and now just after one day its getting itchy since I’m only washing with water. Do you know if the msm cream would help more than the aloe vera? I purchased some aloe vera from aubrey organics yesterday and am hoping it will help. I can also buy the msm cream if you think that will help out. I still breakout a lot on my forehead and have lots of congested whiteheads and blackheads. Should I try both aloe and msm while just cleansing with water? Would raw honey help? Sorry for all the questions.. Personally I don’t know if MSM is more effective than aloe vera, as I haven’t used MSM, but it sounds like from that blog post and the comments that it’s very effective. Well, I really am trying to get rid of the red marks and scars in addition to acne. Once they are gone, I’ll give caveman a go. But if I do nothing, I don’t think red marks will fade faster. What do you think of cleansing with jojoba oil morning and night then using aloe vera at night? I’m not sure which to use between msm and aloe though…is it possible to use both at the same time? Okay I’m coencvind. Let’s put it to action. I mean it’s either that or I just don’t do anything at all right? Is it even possible to be using aloe/msm if I don’t use water at all? The red marks I got were due to both facial extractions and the use of benzoyl peroxide (made my skin very irritated and much more red-this has subsided). The oil cleansing method also caused me to break out a ton and I also have some scars from that on my forehead and temples. So…now I’m between doing nothing or using aloe/msm and then washing w water or jojoba or honey (or doing just straight nothing). do I need to use cold or warm water to wash my face? Hi! This is really interesting. During my teens and early twenties I had great skin – and hardly ever washed my face, let alone used any products on it. I knew most of my friends used moisturisers and cleansers, but I had never had a problem with my skin and I was too lazy to stick to any skincare regimen. Things changed in my mid twenties thanks to a Body Shop sales assistant (sorry Body Shop, but it’s true), and I began the cycle of stripping my skin and compensating by over-moisturising, and hey presto, developed acne. Over the years I’ve tried all sorts of stuff (some quite bizarre) to try to sort my skin out. For a few years now I’ve been using a mild salicylic acid cleansing product just once a day and nothing else most of the time, but recently I seem to have developed a reaction to it. Although I long ago made the connection between starting to use ‘products’ on my face and starting to develop acne, once I had started using products, I found that instead of just stopping, I was always looking for the next ‘miracle’ potion. I am going to give not washing a try 🙂 and see what happens. A bit scary; not looking forward to the flakiness and not sure I will manage 30 days without washing my face at all, but – we’ll see! My ex-boyfriend hardly ever washed his face and he has great skin; very, very soft, no spots or blackheads at all. I was wondering what methods you are currently using with your skin–which ones you have stuck to, and which ones you have ditched. I am currently going on week 3 of the caveman regimen and am having great results!! Are you still doing the caveman after your 3 month post, do you do any oil cleansing or honey masks? I really enjoyed that first video. I’d like to know how to replenish the acid mantle. How long does it take? Hours, days, weeks, months? Can the process be sped up? Can you create a temporary barrier with jojoba oil? …and you have a e-book or something explaining the acid mantle I’d love to buy it. I actually don’t really know that much about the acid mantle. There’s not much information on it as far as I can tell, so all I’m going on is what I experienced and what it seems like many others are experiencing on the caveman. I don’t know the science behind it, so i’m not sure exactly how long it takes or if there is any way to speed it up! hey m on d caveman regimen since 2 months…. i remove dead skin every 15 days…. follow d way u told…. but my skin looks raw n red…. so can i use d oil cleasing method to remove d dead skin????? Have you used the oil cleansing method before and know it works with your skin? The idea of caveman regimen is great but let’s not forget that nowadays we live in completely different environment. There were no cars, production, pollution back then. You have to protect your skin somehow. Just do it in moderation. Personally, I just started to use all natural products on my face like washing it with milk or green tea, moisturizing with EVOO or almond oil. It has been only four day and I have already got two blemishes. I hope my skin will get better. Is it alright to use a moisturiser when attempting the regimen? I have a pH balanced skin lotion (5.5 – 6.5 pH). Or does the acid mantle truly have to repair itself on its own with no external aid? Everyone’s skin is different and you have to just do what you feel is right for you. The “true” caveman is when, for a period of time, you let your skin get right back to it’s original state. Truly repair itself to it’s natural way of being without the interference of anything. If after that original state is still not fantastic, I’d say go ahead and add whatever you want in, a moisturizer if you choose. 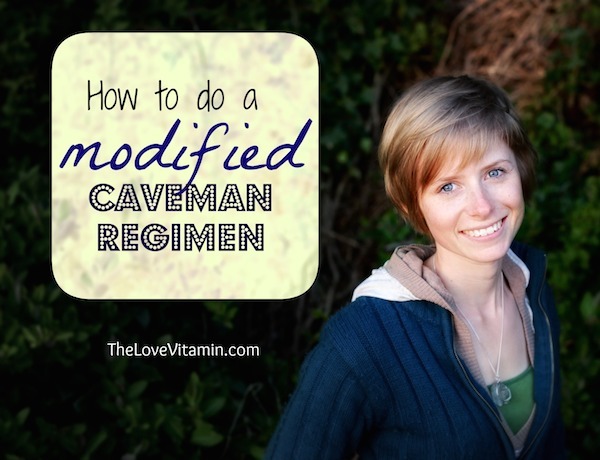 Or you can add it in right away and do a modified caveman! The caveman is an intuitive thing, not something set in stone. If you feel more comfortable using the moisturizer, then I don’t think it’s necessarily a bad thing at all! Think I’ll have to try with moisturiser to start with …. But just so I understand this, the whole point of this regimen is based on returning your skins pH back to (or close to) the ideal 5.5 level – acidic enough to fight off bacteria. How long did it take before your skin started to exfoliate itself? When your dead skin face mask began to develop, did you get a particularly thick skin buildup on the inner cheek area on both sides of your nose (just below the eyes)? What are your thoughts on sun screen when on cave man regimen? I have very fair and sensitive skin and need sun screen when in the sun for even the shortest while. I’m also wondering about mineral make up, especially Bare Minerals. They claim you don’t have to wash them of…would this be an option? Hi, I’ve been doing the caveman regimen for 12 days now and I have to say I absolutely love it! Mostly because all I have to do now is brush my teeth before bed ;). But I do have some Christmas family stuff coming up soon and I know I’m going to have to doll myself up with makeup. I would have to (very gently) exfoliate first because I still have a bit of my dead skin mask. I can’t really see it now but when I put on makeup I know it will be obvious. Not wearing makeup isn’t an option unless I want to stress about my skin all day and get an anxiety attack. So I was wondering if after I wear makeup and wash it off with coconut oil later, will I have to start all over with the caveman regimen? Like go through the oily skin days and stuff? I read that coconut oil helps with your acid mantle so that’s what I would use. And it’s natural. Hi Sarah, the caveman doesn’t really have any rules! hah.. it might seem like it has rules, but it doesn’t. So there is no saying how your skin will react or not react to wearing makeup and taking it off with coconut oil. It’s probably better for your skin than tons of stress and anxiety attacks! Just do it and go with the flow 🙂 continue on with the caveman after and you’ll be fine! does sleeping and cold places helps the caveman regimen? Sleeping will always help acne as it’s important for balanced hormones and detoxification, I don’t know if has anything to do with the caveman regimen specifically. Cold places… I’m not sure? Wow! thanks tracy and for the last question (sorry if I am being bothersome) So does this “FLAKES” and “INFLAMMATION” has got to do with the regimen? 🙂 I don’t undestand yet why there are flakes. i’d like to remove the skin from my face because i can see new skin being formed from the miracle working caveman routine, so i look a bit like a spotty cow right now. i thought at this stage i could maybe remove the dead skin but i was hoping to use honey but i’m not sure how it would work… any advice on what to use?or if i should even remove it?